Our families gather around the fire for some s'mores as the sun set over the Pineywoods. 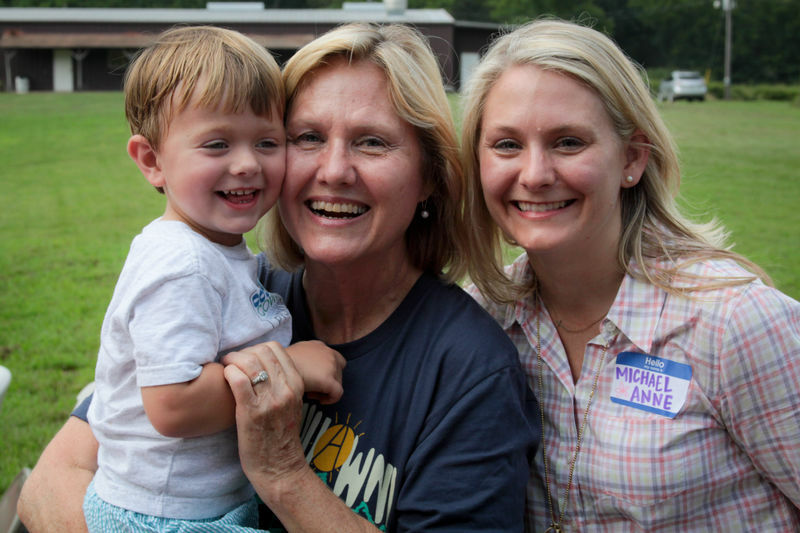 Wow, this Family Camps is definitely going down as one to remember. With all the rain, you worry about how everything will turn out. But, the rain has only escalated the fun and uniqueness of this weekend. Last night we enjoyed Ms. Ada’s juicy hamburgers at Cookout. 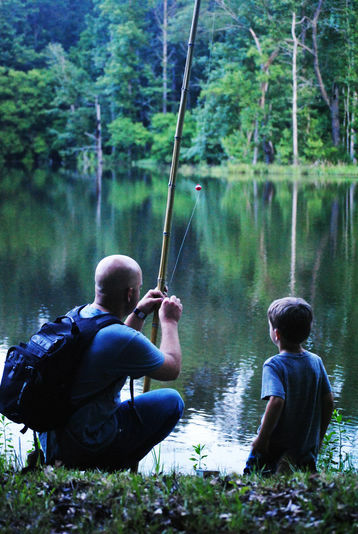 We then headed to the iPond for some cane pole fishing. Henry M. won first prize catching eight fish! We ate s’mores and enjoyed what turned out to be a beautiful night. This morning at about 7:40am the floodgates opened and it began to pour down rain. Thanks to our ever so clever staff, we had a backup plan. 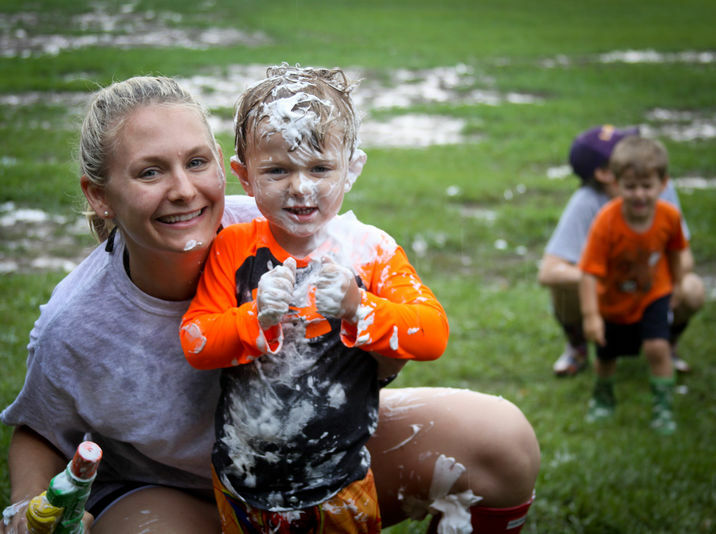 As the rain continued to fall, counselors organized a huge mud slide and shaving creme fight. 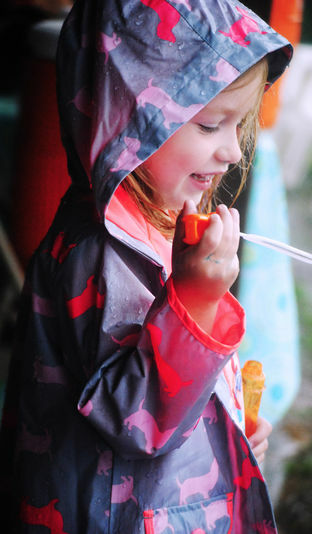 Pretty soon, parents and kids were no longer concerned about the rain— it was a beautiful site! I guess this is why we say “simple fun is the most fun”. After lunch, the clouds lifted and we hiked to the Carving Trees. Pete and company fed us ice-cold watermelon, and both parents and kids jumped in the Pinson Creek. The water was pretty cold, and the creek was running higher than usual because of the down pour. 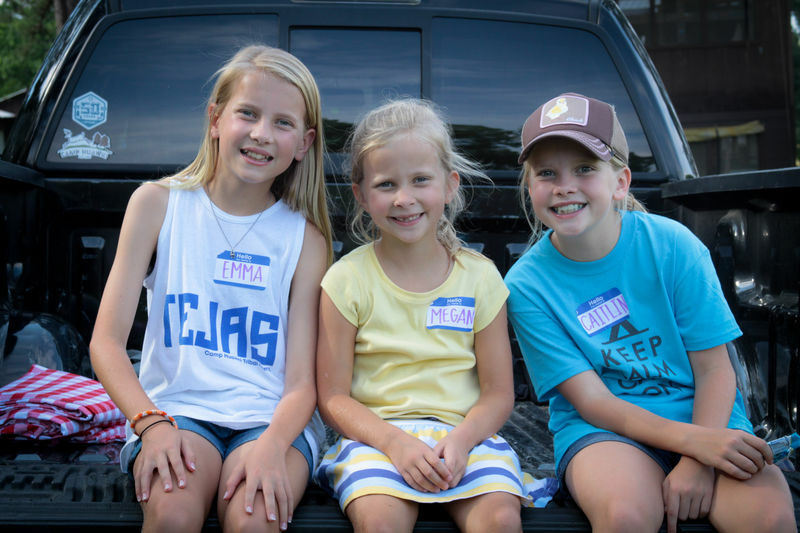 After supper, we hosted our Family Camp Skit Night. The Howard Family ended up taking home first place with their music medley and dancing to several Frozen Songs. They’ve officially taken the title from the Mayfield Family; Mayfields, we expect you to make a run at it again next summer! Again the rain began to poor, so we rolled out the carpet in the Dining Hall and had Mr. Mike lead us in a sing song. I played Red House and Wagon Wheel, and Colby Miller also got in on the action, playing “Buy Me A Box”. It was a full day, and most everyone, myself included, are ready for bed. Staff is circling around campus as we speak delivering milk and cookies before we all call it a night. We’ll drive down the road a couple of miles tomorrow as we gather at the Little Red Church for Sunday fellowship. We’re excited to get some more time with our families before they head out tomorrow. We want to make Sunday special. 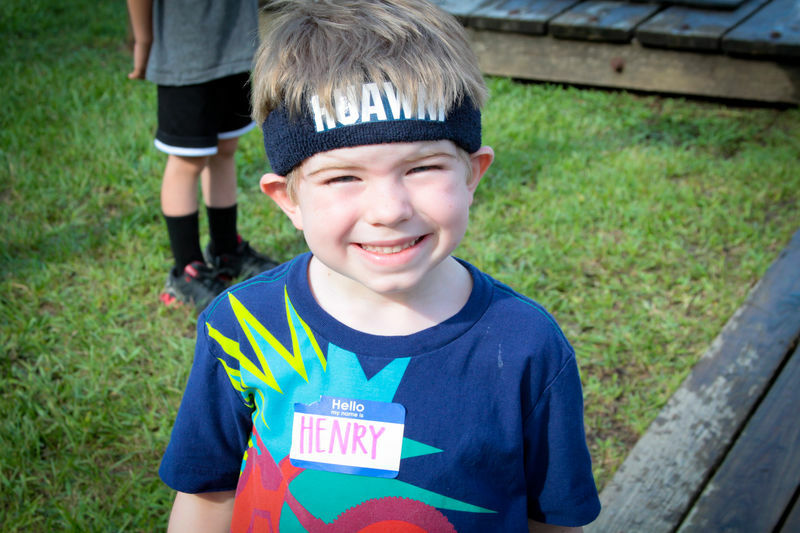 “Rainy Day Family Camp Fun” posted by Travis at 9:45pm, May 31st, 2014. Copyright Camp Huawni.